Save on your next flight from OBU to ACT when you book through Travelocity. Need a last-minute flight to Waco? Travelocity offers discount airfare no matter when you book, even on popular routes such as Kobuk Airport to Waco Regional Airport. Whether you need a direct or indirect flight, you can trust Travelocity to provide you with the best prices for OBU to ACT flights. Explore Waco with Travelocity's Travel Guides to find the best flights, cars, vacation packages and more! Located in the heart of Waco, this romantic vacation home is 3 mi (4.9 km) from Waco Mammoth National Monument and within 6 mi (10 km) of Hawaiian Falls and Brazos Park East. Magnolia Market at the Silos and Waco Convention Center are also within 9 mi (15 km). Situated in Waco, this vacation home is 2.7 mi (4.3 km) from Extraco Events Center and 2.9 mi (4.6 km) from Cameron Park Zoo. Magnolia Market at the Silos and Waco Convention Center are also within 6 mi (10 km). 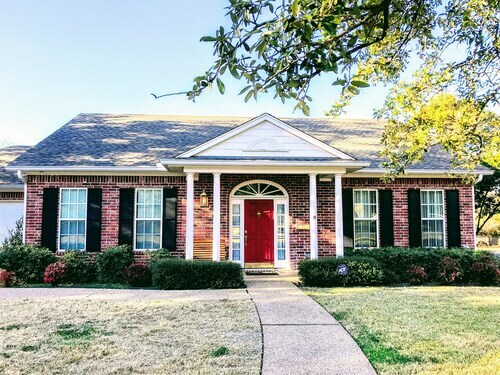 Located in North Waco, this vacation home is within 3 mi (5 km) of Cameron Park Zoo, Magnolia Market at the Silos, and Waco Convention Center. Brazos Park East and Hawaiian Falls are also within 3 mi (5 km). Located in North Waco, this cottage is within 3 mi (5 km) of Cameron Park Zoo, Magnolia Market at the Silos, and Waco Convention Center. Brazos Park East and Dr. Pepper Museum are also within 3 mi (5 km).